Amazing Deals on Classic Cars for Sale in India at the Best Prices! Our custom classic cars are not just headturners but extremely affordable to own and run. Powered with electric power, there are minimal running costs as you zip them through roads and varied terrains. We offer them at unbelievable prices for you to not have to shell a fortune to own a classic car. Customize it to match your personal style and own your very own classic car that not only looks good but also helps the environment while at it! No more dated classic cars that cost a fortune! Old classic cars are not only hard to maintain but also extremely expensive to upkeep. Finding spare parts is a horror story and fuel consumption can cause quite the dent in your budget. Won’t you like to have a classic car that isn’t just to be parked into your garage? Something that is not only cheap to own but also inexpensive to run? 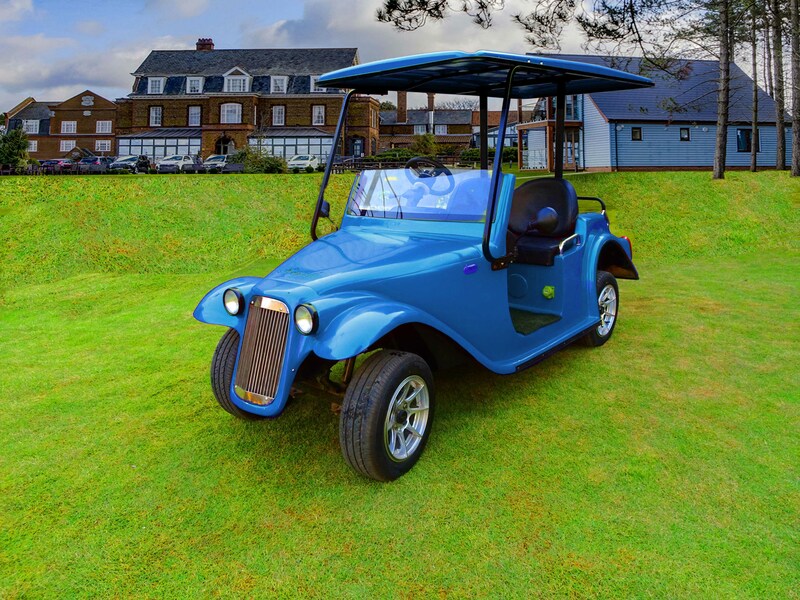 With our electric classic car – Royale – you can have your own piece of luxury that is more to go than just show! We offer our classic cars for sale in India for you to be able to drive it no matter which city you may be in. 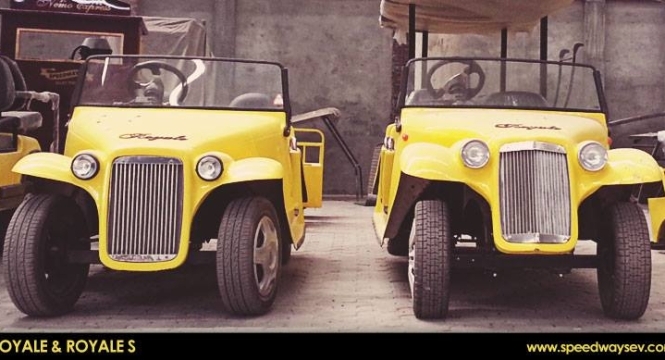 These eco friendly classic cars are powered with superior technical specifications ensuring tireless running for years to come. The glamorous and luxurious classic cars are hand crafted and designed with expert precision. We don’t just say luxury, we sure do mean it! While old classic cars come as they are – sometimes with not so pretty additions, our classic cars are built to order and custom designed to ensure your tastes and personal style is integrated. You can pick from a variety of customizing options to ensure your ride is truly yours. Our classic cars for sale in India are available in a range of colors including (but not limited to) – yellow, red, white, blue and green. 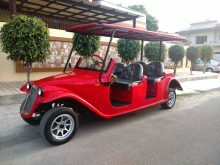 We can also make the classic car as per your custom color palette and add any branding you may have. Our classic cars come with a host of optional accessories: body cover, rain cover, music system, alloy wheels, side/rear view mirrors, etc – to name a few. We can also integrate a custom bar as a part of your classic car for drinks or F&B integration. Get unmatched quality at a fraction of the cost! Most classic cars around the world are ridiculously expensive. We ensure our classic cars are so affordable you never have to think twice. We maintain the same luxury with handcrafted body and premium fittings to ensure you feel every bit the royal that you should riding these cars. 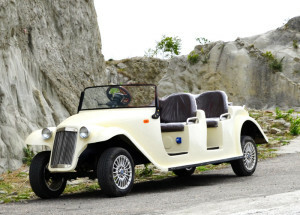 We are the sole manufacturers of these classic cars and are the only suppliers of classic cars for sale in India. 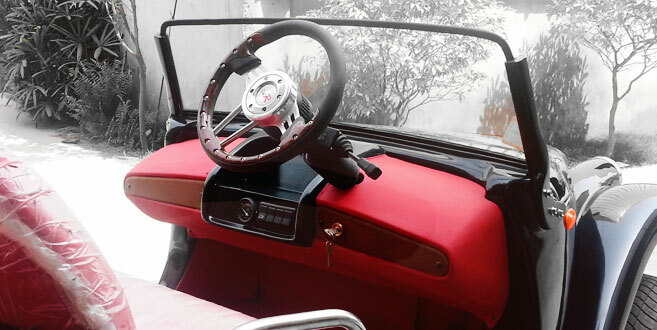 Beautiful interiors and custom designed classic car for your royal ride! 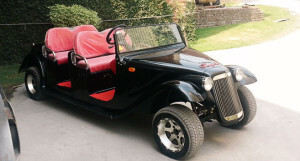 Know more about our four seater classic car or six seater classic car. We also make our classic cars with wheelchair integration. Contact us today to design your own classic car and be the envy of every other car on the road!